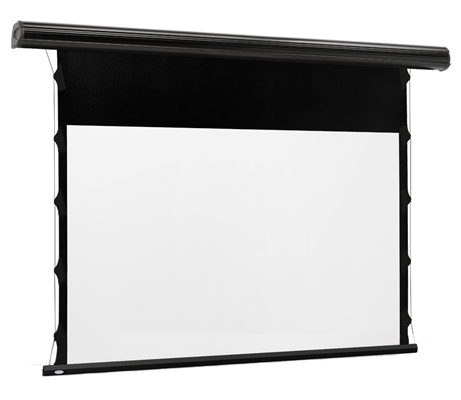 The Draper Euroscreen Linea Tab Tension cassette has a unique designed shape which consists of gently rounded aluminium, with no exposed mounting fixtures or fasteners, and all attachment points are completely invisible. 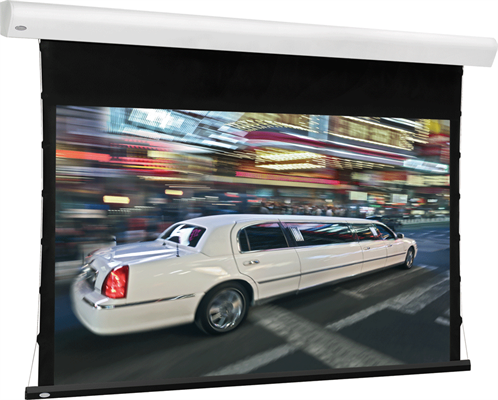 Delivered as standard with Euroscreen® Control Box with Plug n’ Play feature – fast and easy installation! Choose optional transmitters; AutoLink RF, RF remote control, IR remote control or RF Wall Switch Transmitter. 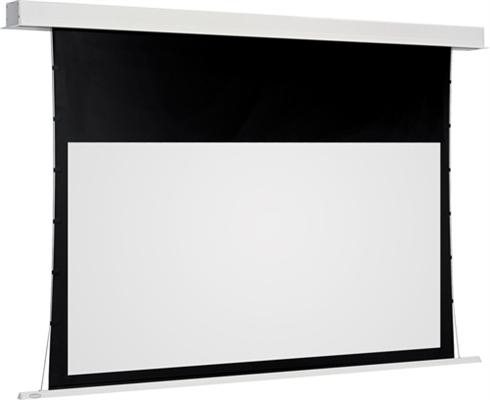 The Draper Euroscreen Linea case is finished in white and the white heavy weight bottom dowel retracts completely inside the case when the screen is not in use. Thanks to the tensioning wires, which are integrated along the screen surfaces vertical edges, a fully flat screen surface can be obtained for many years in use. 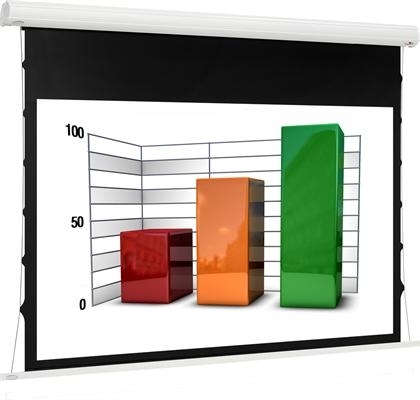 A perfectly flat screen surface is a requirement when using Short Throw projectors where the wide angled projector lens put higher demands on the quality of the projection Draper Euroscreen Linea screen.